​San Luis Obispo is an ideal place for yoga retreats in California. San Luis Obispo is an ideal place for yoga retreats in California as it is situated halfway between northern and southern California. Sagrada Wellness is located 15 minutes North of San Luis Obispo, in Central Coast California. Situated halfway between San Francisco and Los Angeles, San Luis Obispo County is the heart of California's Central Coast Wine Country. San Luis Obispo County has something for everyone. Enjoy food and wine in the city of San Luis Obispo; take a relaxing drive though scenic wine country or a stroll on one of many white sand beaches. SLO is truly the best of California. 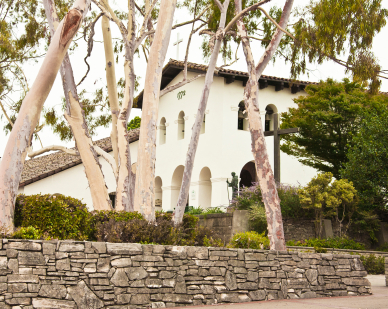 Galleries, museums, wine tasting and unspoiled natural beauty and recreation are some of San Luis Obispo's highlights.